There is a war on Christianity and the West is failing to acknowledge it, a Daily Telegraph columnist has said. Dr Tim Stanley, a journalist and historian, says that politicians and the secular media are ignoring the ongoing persecution of Christians across the globe. He believes that political correctness and an unwillingness to recognise the West’s Christian heritage is to blame. In an opinion piece for the Telegraph this week, Dr Stanley wrote: “When Christians are killed for being Christians, politicians overlook it and public interest fades”. Describing the recent attacks on churches in Egypt, he criticised a BBC report which claimed ‘many people believe’ Christian persecution is continuing in the country. Dr Stanley continued: “We should call what’s going on in some Muslim countries a war on Christianity because that’s what it is. If we refuse to do this to avoid causing offence, we are allowing our worst enemies to police our language. “There is one other reason why we’re so nervous about engaging with this fight: the West is reluctant to identify itself as Christian. “Our spirit has become so weak, our culture so vapid, that we struggle to see that the rights, the democracy, the religious pluralism that we all enjoy in our part of the world were not invented yesterday but are part of a historic, global story of Christian social progress. Dr Stanley cited figures from charity Open Doors which show that ’Islamic extremism’ is the dominant force behind the oppression of Christians in the vast majority of cases. “In Nigeria, the murder of Christians by Boko Haram jumped 62 per cent in one year. Some calculate that between half and two-thirds of Iraq’s Christians have died or fled. The Christian Institute has compiled a briefing which highlights the global harassment, intimidation and violence Christians face at the hands of extremists, both religious and non-religious. Government counter-extremism policy needs to recognise that Christians are the victims and not the perpetrators of extremism. 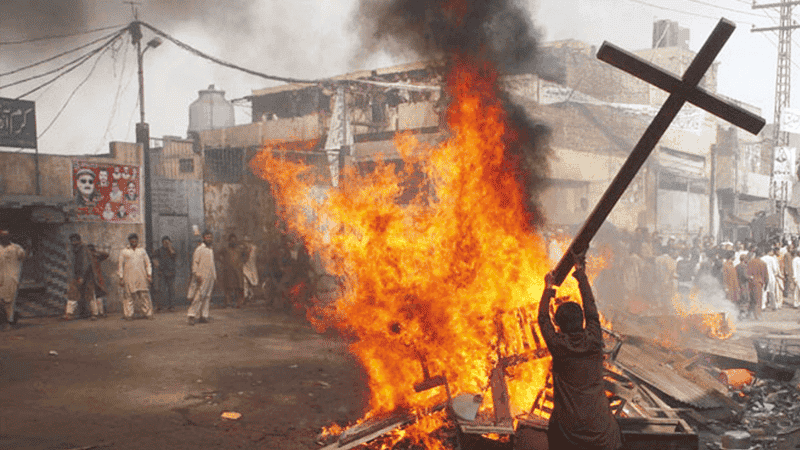 Christians are currently the primary victims of extremism around the world. This briefing highlights the global harassment, intimidation and violence Christians face at the hands of extremists, both religious and non-religious.